The first British woman to join the fight against Islamic State (IS, formerly ISIS/ISIL) in Syria says she is ready to die fighting the jihadists. 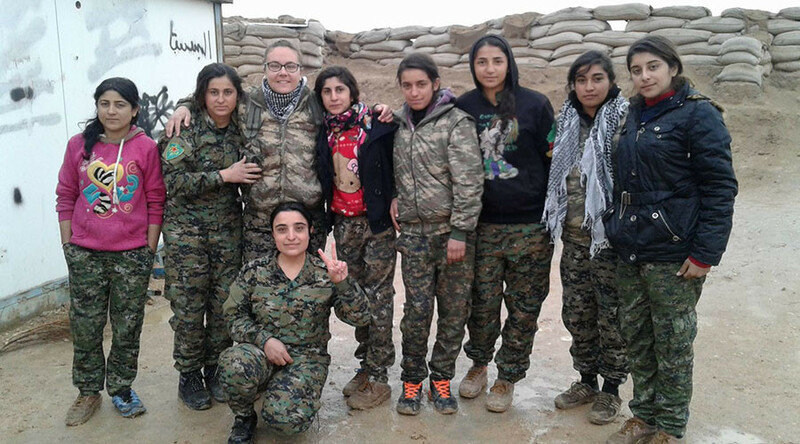 Kimberley Taylor, 27, a former Sandhurst trainee, has been fighting alongside the Women’s Protection Units (YPJ), an all-female affiliate of the People’s Protection Units (YPG), in Syrian Kurdistan. She is part of the “Rojava revolution,” a left-wing Kurdish movement in northern Syria. Taylor, who is from Liverpool, told the Guardian that she has spent the last 11 months learning Kurdish and studying regional politics, weaponry, and battlefield tactics at the YPJ’s dedicated military academy. She told the newspaper: “I’m willing to give my life for this. It’s for the whole world, for humanity and all oppressed people, everywhere. She travelled to the front line in October and is involved in the push towards Raqqa, IS’s de facto capital in Syria. As part of the YPJ’s combat media team, her primary job is to record the militia’s operations, write battle reports and take photos of the action. On Friday morning, Taylor posted on Facebook that IS had attacked her base. “We put up an incredible fight for three hours. Just two friends slightly injured. I’m so proud to call these people my comrades. We fight with unconditional resistance. “I won’t go into details about the attack because it [was] super gory. “Another base was attacked, four comrades were martyred. At the very front, two comrades were martyred. “You gave your lives for peace, democracy, and humanity. Your memory will live on in the revolution,” she said. Taylor was motivated to fight IS after hearing that the village of her friend, an Arab YPJ fighter from Syria, had been ransacked by IS fighters last year. “She was from a pro-Assad family and her eight-year-old sister wrote on a wall: ‘Without our leader, there is no life.’ She did it as a protest against ISIS,” she said. “So they took her to a tall building and ran her over and over again with a car. Then, with the last one pushed her off the building. My friend ran away to join the YPJ,” she continued. Taylor first travelled to Syria 18 months ago as a freelance writer documenting the plight of the Kurds. “I was torn apart at the conditions refugees from Syria and southern Iraq were living under. “The lack of food, medicine, shelter, would have been hard for any human to endure. I remember my feelings of guilt and frustration when mothers outstretched their arms, holding their babies towards me, begging me to take their child to a better life,” she said. Taylor decided to return to the area to aid the fight against IS in March of last year. Taylor is one of an estimated 50 - 80 British citizens who have traveled to Syria or Iraq to fight IS since autumn of 2014. 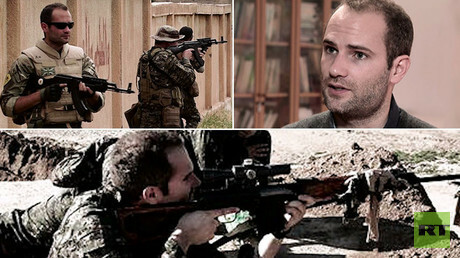 Former London currency trader and Conservative Party councilor Macer Gifford has twice travelled to fight alongside the YPG. Gifford, 30, who operates under a nom de guerre, was so shocked by the medical situation he found in the areas liberated from IS control that he has since launched the Zurich-based Friends of Rojava Foundation to help restock and rebuild northern Syria’s shattered healthcare system. “The ambition really is to become one of the main suppliers of humanitarian aid, or particularly hospital aid, in all of Syria,” he told RT last month. Although Gifford discourages other Westerners from following in his footsteps, he insists they are fighting a moral cause. On December 21, Ryan Lock, 20, became the third British man to die fighting IS with the Kurds in Syria. It was recently revealed that he committed suicide rather than allow himself to be captured. Dean Evans, 22, a dairy farmer from Reading, Berkshire, died in the city of Manbij in July of last year. Former Royal Marine Konstandinos Erik Scurfield, 25, from Barnsley, South Yorkshire died in the northern village of Tel Khuzela in March of 2015.